Prevents Illness: Eating healthy food will help keep you in the best health possible. This will make sure that you are able to prevent falling ill or even getting serious health conditions. Some of the illnesses and conditions that a healthy diet can prevent include cancer, obesity, heart attack, Alzheimer’s, stroke, and the list goes on. More Energy: Getting the proper nutrition that your body needs will ensure that you have the energy you need to continue doing what you love. Good food provides the fuel your body requires to keep on going every day. If you feel sluggish or if you feel like you do not have the energy you once had, it may not be because of old age, but rather because of the food you are eating. Look Younger: Believe it or not, but eating right can help you look younger and feel younger. Certain foods can improve your eyesight, enhance your strength, make your skin looks better, and even provide you with more energy. If you want to maintain your independence and to keep living life to the fullest, you cannot go wrong by making a simple lifestyle change and switching to healthier meals. 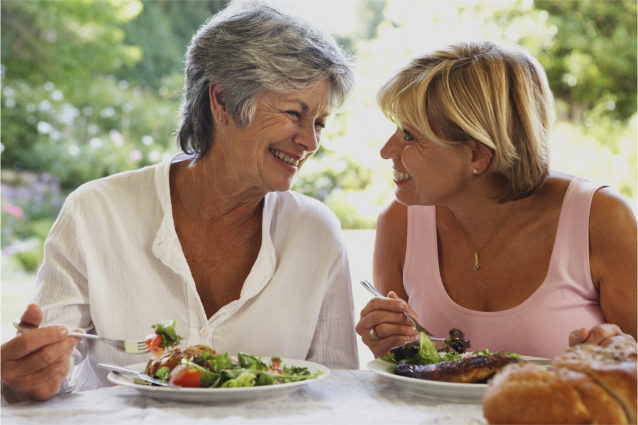 As a Health Care Agency in Ohio, we will ensure that you have access to professional caregivers that will help you eat the proper food for a better life. This entry was posted in Health Care and tagged Diet, Energy, Lifestyle, Prevention. Bookmark the permalink.